BUFFALO, N.Y. (WKBW) — For two hockey fans, a bet they made before the 2018-2019 NHL season all comes down to Saturday. Matt Walfrand, a director at 7 Eyewitness News, was confident his favorite team, the Buffalo Sabres, would make significant strides this season. Co-worker Rob Neves thought his favorite team, the Detroit Red Wings, would finish ahead of the Sabres. 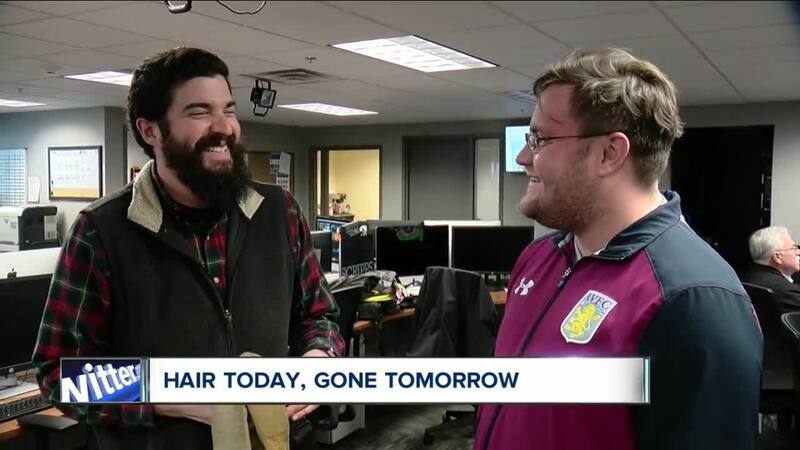 "Since I started here two years ago, Wally [Walfrand] has been trying to get me to shave my beard," Rob Neves said. So, the two made a bet. If the Sabres finished the season with more points, Rob would shave his beard. If the Red Wings finished with more points, Matt would shave his head. "I really don't want to go bald," Walfrand said with a laugh. After 81 games both teams have 74 points. No matter what happens on Saturday, one team will finish in front of the other team in the standings. "The Bet," as it has been referred to in our newsroom, has become quite the topic over the last few weeks. "I mean, it's all in good fun," Neves added. "Beards grow back, hair grows back -- who cares." "I think the Sabres win in a shootout on Saturday," Walfrand responded when asked about his confidence level. "That'll make it even better."